What does the Critical Illness Benefit from Momentum offer? Comprehensive cover for dread diseases. A more affordable option with cover that depends on how severe your illness/ injury is. The knowledge that you will be able to access the best medical care when you need it most. A lump sum payment that can be used for whatever you like. Cover for children who are minors. Because of advances in technology, we are now living longer lives. Illnesses that were previously fatal can now often be treated. The problem is that the best treatments cost a lot of money. And you don’t always come out of it in perfect health. Say, for example, you have an operable tumour in the brain. While surgery could clear a tumour out, it might also damage your motor function. You might need to relearn how to walk, talk, etc. This could be temporary or permanent. Either way, you won’t be able to work and earn a living during this period. What is Cover for a Critical Illness? This cover pays out when you have a major disease or medical events such as cancer, cardiac arrest, stroke or something like Alzheimer’s disease. It will also pay out if you become permanently disabled, have extensive third-degree burns or brain damage. The company pays a lump sum out that you can use for whatever you want, and this amount is tax-free. Won’t My Medical Aid Cover It? Sure, you can count on your medical aid covering the basic medical expenses. 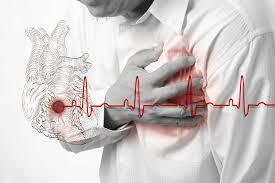 But critical illnesses usually require extensive medical intervention, and this can add up quickly. It’s not unusual for people to max out their medical aid cover during such a time. Also, you want access to the very best possible care, don’t you? This is not usually available at standard medical aid rates and so your medical aid might not cover it or might only pay part of the costs. Critical illness cover can help fill in the shortfall when it comes to your medical aid. Also, your medical aid only pays for the medical expenses. If you are not able to work for three to six months, for example, how are you going to pay your living expenses? The cover offered by Momentum covers you and your children if they are minors. The Complete Critical Illness Benefit: A more affordable option that pays out according to the severity of the illness/ injury. It will pay out a percentage of the amount according to the severity of your injury. For example, the company would pay out 100% of cover for an injury that paralyses you. They would pay out only 25% or 50% for injuries that are not as severe – such as losing a hand, for example. The Complete Enhanced Critical Illness Benefit: Comprehensive cover that pays out for every severe illness/ injury. This option offers you the maximum payouts possible. Specified Claim Event Enhancer: You can use this to enhance your cover on the Complete Critical Illness Benefit. The company will pay out 100% of costs for the four illnesses that are most common – cardiac arrests, stroke, cardiac artery bypass and cancer. Cover for your kids: Both options include protection for your children from the day they are born until the day they turn 18. They receive benefits at 10% of your cover amount with a cap of R250 000 per child per annum. Longevity Protector: This helps to ensure that your cover never reaches its limit. Should you not claim before the age of 80, you will receive a lump sum benefit under this cover. Medical costs can be staggering when it comes to dread diseases. If you want the very best in care, you need to make provisions for those costs now.